Paul Rice, pictured here addressing members of the Volusia County Bar Association at its annual Family Law Seminar, spoke about the legal nuances of parenting plans and child timesharing schedules in Florida. The seminar was held at the Halifax River Yacht Club on Friday, August 29, 2014, and was attended by approximately 35 lawyers. Other speakers at the seminar were Judge Dawn Nichols, Charles Ruppel, Esquire, of the Florida Department of Revenue and Rachel Gorenflo, Esquire, who is also a licensed certified public accountant. The Florida Legislature did a major re-write of its child custody and visitation laws in 2008. Under the new Florida Statute Section 61.13, the courts are required to establish a parenting plan and timesharing schedule for children in divorce and paternity cases. Long gone are the days where one parent is labeled the custodial or primary residential parent. The only title the parents can now receive are those of mother and father. Or, as Mr. Rice likes to say, “Neither parent will be named the king or queen of the children.” The public policy behind this change was to reduce the number of contested custody cases. Typically, both parents are ordered to share parental responsibility and decision making for the children, leaving visitation (now formally known as “timesharing”) as the only contested issue. And, with women entering the work place in ever increasing numbers, timesharing arrangements are trending ever closer to 50/50. With that being said, no one timesharing schedule fits every family, and the guiding principle in devising a timesharing schedule is the best interest of the children…not the parents. Paul Rice is board certified in marital and family law by the Florida Bar. He has been representing spouses and parents in east central Florida for over 30 years. Should you have a question about a legal matter, Mr. Rice can be reached at 386-257-1222 or PaulRice@RiceRoseLaw.com. 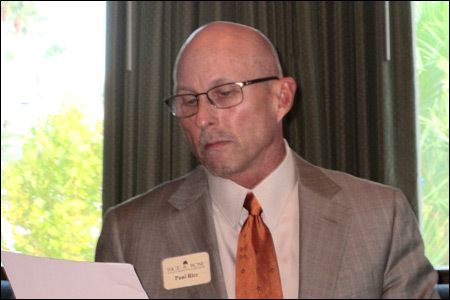 For more information about Mr. Rice’s experience and credentials, click on the following link: https://www.ricelawflorida.com/paul_rice.html.